12 months ago, T-Mobile USA was dead last in all relevant business metrics between the 4 big players AT&T, Verizon and Sprint. Not anymore. How did this large organization transform behind a clear vision and with (sometimes appearing outlandish) leadership? In one sentence: Customer experience was put as first priority, processes were transformed, modern technologies and methodologies leveraged, and people empowered to create simplicity and greater customer value. T-Mobile USA embodies this philosophy and has turned the mobile carrier market in the USA upside down in 2013 and 2014, leveraging their customer facing re-design to transform nearly every part of the organization and deliver outstanding business results. For years, T-Mobile struggled to gain ground on their competitors and often ranked last in customer surveys against the three larger players AT&T, Verizon and Sprint. After the failed AT&T acquisition, John Legere, who proclaimed himself as having “no background in the cell-phone business,” took over as CEO. He pushed the radical idea of “customer focus” meaning the company needed to listen to customers’ needs and prioritize business processes and offers accordingly. Cellphone customers really only ask two straightforward questions when choosing a mobile communications provider: Do I have (good) coverage where I need it? How much does it cost me? In early 2013, complex pricing structures make it nearly impossible for customers to make informed decisions. Today, the first and usually main point of contact with customers is through the company websites. In early 2013, T-Mobile’s web page was like a “Frankenstein monster” with 30 or more tabs leading to a myriad of information that most people were not interested in. A radical redesign creating a simple customer experience requires understanding and eliminating complexity across the underlying system and enabling dynamic digital marketing direction to drive and respond very agile to competitive marketing movements. For T-Mobile, the project to develop, launch, and continuously update the website became the foundation for an agile business transformation. This meant redesigning web presence from the ground up to prioritize effortless discovery, sales and eService, a simple and straightforward customer experience, and drive radical reconsideration of the (near dead) brand. As the customer interface was changing, the underlying business functions also needed to rethink their purpose and strategy to create a more transparent and simplified approach. For example, coverage information was on the website. However, it was buried somewhere deep and only 2% of customers could find this info. This information needed to be front and center for the customer to find and needed to be relevant to his or her particular needs and lifestyle. It needed to be continually updated to reflect the intensive and ongoing investments into the high-speed 4G LTE infrastructure and it needed to leverage industry-standard Google Maps technology. The changes required unprecedented transparency and real-time data access in the underlying backend systems. To innovate successfully in today’s markets, organizations need to shorten the time between ideas and action. Information needs to be transparent. The customer always determines what is valuable and what is not. Ongoing dialog with customers that drives a continual cycle of learning across all business functions is built into system and process and organizational culture. The development team at T–Mobile didn’t see the launch of the website as a perfect solution. Instead, they viewed it as a continual solution. They would be continually learning from the customer and then optimizing the site to meet the changing needs. Can an organizational transformation deliver a pay-off in real revenue quickly? The beauty of an agile customer value-focused and responsive approach is the speed of results. Better Website: Satisfaction of website users went from about 10% in the “highly satisfied” category to 50%. “Ease of use” increased from approximately 22% to 57%. The “shopping experience”—critical for successful sales especially—improved by 50%. And all of those numbers are still climbing as the responsive and agile process and infrastructure allow continuous improvements. Better Sales: How do these internal measurements transform independent measurements? For many years, JD Power rated customers’ experience with T-Mobile continuously 4th out of the four carries. The latest study reversed this trend. In the launch month of the new website, J.D. Power ranked T-Mobile as the highest ranking website in the wireless space. And that’s done within six months. There has been a double digit increase in conversion from “shopper” to “buyer.” The company just released data that shows, for the second quarter running, they have netted more than 1 million new customers. And they claim to not only win at the “lower end” of customer segments, but also to take the high value users (especially from AT&T and Sprint). Happy customers vote with their dollars. In Q4 of 2013, T-Mobile USA (TMUS) added 1.645M total subscribers and 869,000 branded postpaid subscribers, beating the analyst community’s optimistic consensus by over 20% (1.2M and 653,000 respectively). The press has been clear that these numbers “put an exclamation mark on T-Mobile’s 2013 turnaround after it bled market share for years to AT&T (T) and Verizon (VZ)”. Combining a clear and customer-focused vision with a transparent, agile and responsive approach to re-inventing the customer experience can drive tremendous success in a short time. With the business shifts to the web and social media across many industries, it provides the opportunity for ongoing customer dialog. IT and marketing departments are in a unique position to combine their strength, expertise and insights. A joint project with customer focus and clear business impact measurement can facilitate, accelerate and even drive organizational change. This case study is based on information shared with Mark Mueller-Eberstein at SIC 2013 by Peter Francis (VP of ecommerce and Web Transformation at T-Mobile) and Mike Selman (VP Strategy at Razorfish Group). 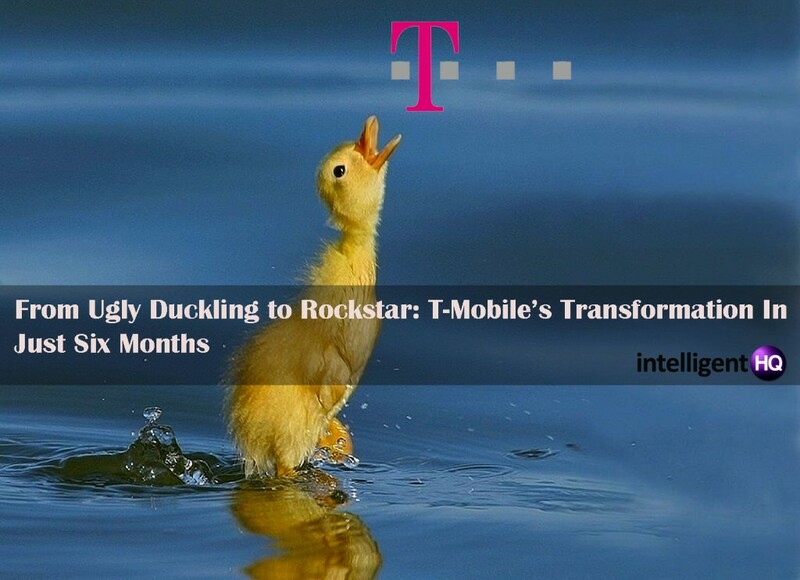 Along with Roger Cheng’s Rivals beware, T-Mobile’s gains are no fluke CNET Nov 5, 2013. Prof. Mark Mueller-Eberstein is an internationally renowned business leader, entrepreneur, consultant, best-selling author, and a Professor at Rutgers University Center for Management Development. He leads “The Knowledge Economy Research Institute” as well as Adgetec Corporation’s consulting business. Using a cross-functional and international approach, his consulting company help current and future leaders align their business and technology strategies, and leverage opportunities. Mark is fascinated by the dynamic between the human and technical factors that positively impact business operations, and has advised business leaders from a variety of industries on these topics for over a decade. Mark has become one of the world’s leading experts on how businesses can leverage key technology trends to drive a competitive advantage and his books have been translated into a dozen languages. Answering some of the twitter comments: Yes, the last quarter results of T-Mobile keep supporting the momentum.